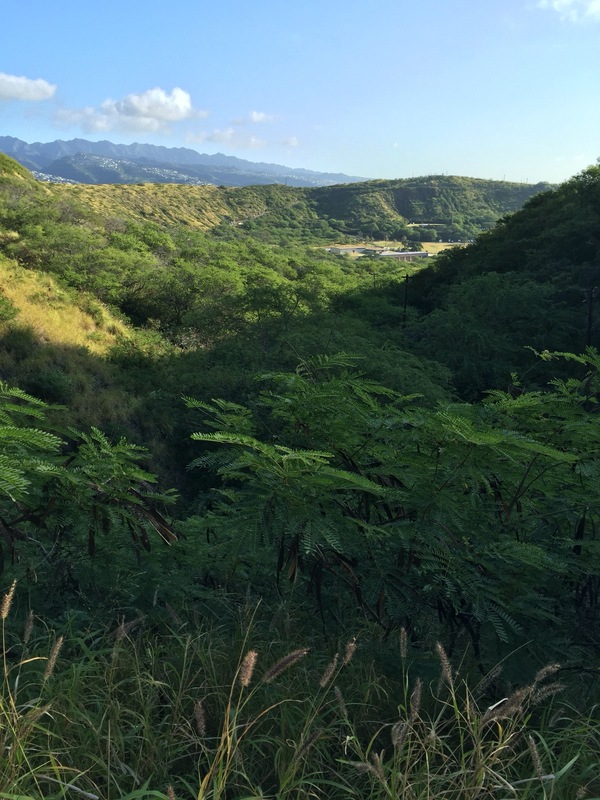 Diamond Head crater on the island of Oahu, is from a volcanic eruption that occurred some 200,000 years ago. The view of the outside of the crater, as seen from Waikiki, is an iconic image used in many images of Honolulu. For our first trip of the new year, my husband decided to head to warmer weather. I know your thinking, but California is warmer weather. But the day we left, El Niño storms were settling in. We traded rain for 80 degree weather. 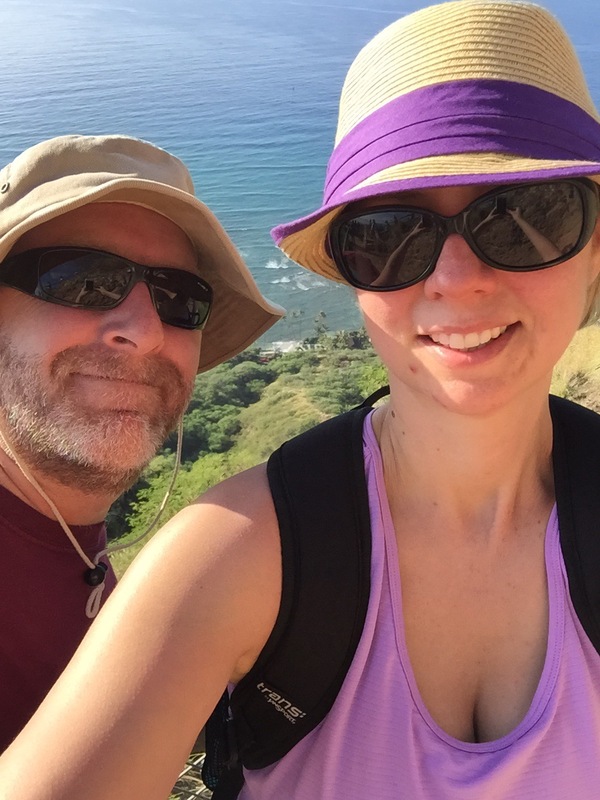 On our trip, we decided to hike Diamond head. We did not rent a car on our trip, but taking TheBus from our hotel to the park entrance was easy and only $2.50 each way per person. We walk in the park on an easy ascent and paid a $1 fee to enter. 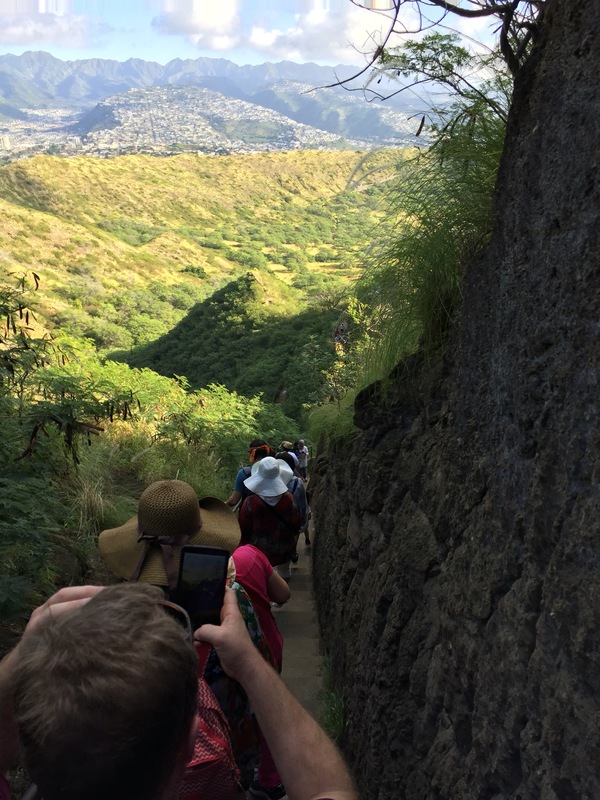 The hike would not be as easy. 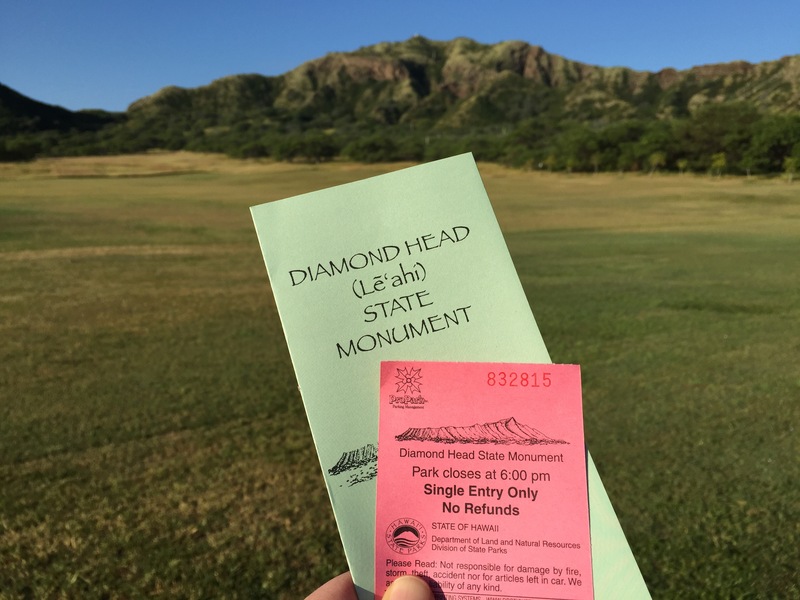 Hiking Diamond Head is best done early. There is some shade along the hike but it got pretty hot and humid. You should wear appropriate clothes and bring water. Wear hats and apply sunscreen. I saw some people who looked unprepared in flip flops. The dirt trail can get slippery and I don’t how they managed. At the top, there was a tunnel that came after a strenuous ascent. 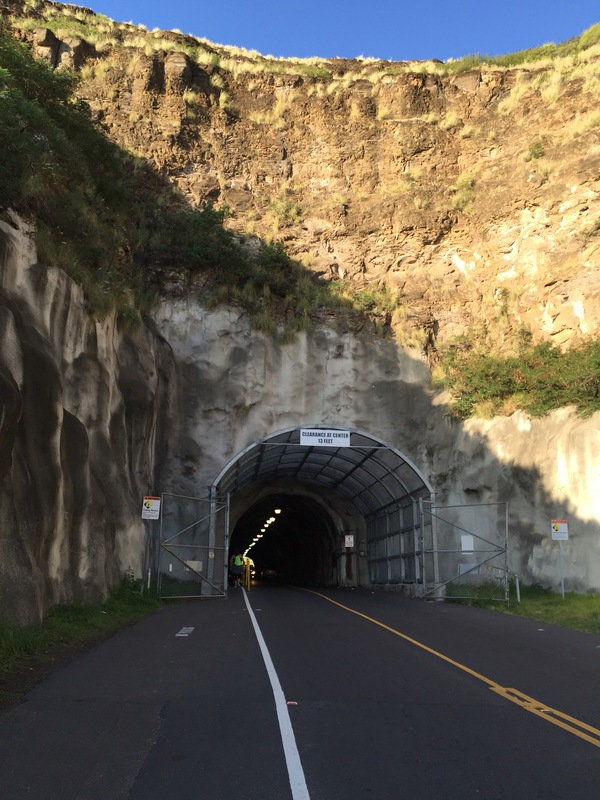 If you are claustrophobic, that tunnel may be a challenge. The top can be reached by a very steep staircase or a slower ascent with stairs and switchbacks. We chose the slower ascent, which was still a good workout. We rewarded ourselves with shaved ice after we came back down. There is a burger food truck that has the only food in the park for sale. The people who run it are super friendly. When we approached tired from our hike, they handed us cool, wet napkins. I am so glad we included this adventure on our trip. 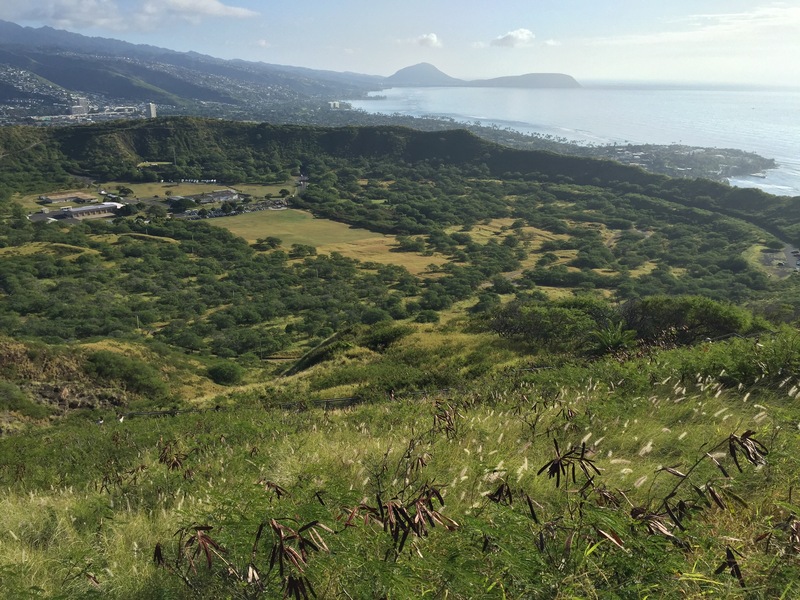 The reward when you reach the top includes amazing views of the ocean and Waikiki. 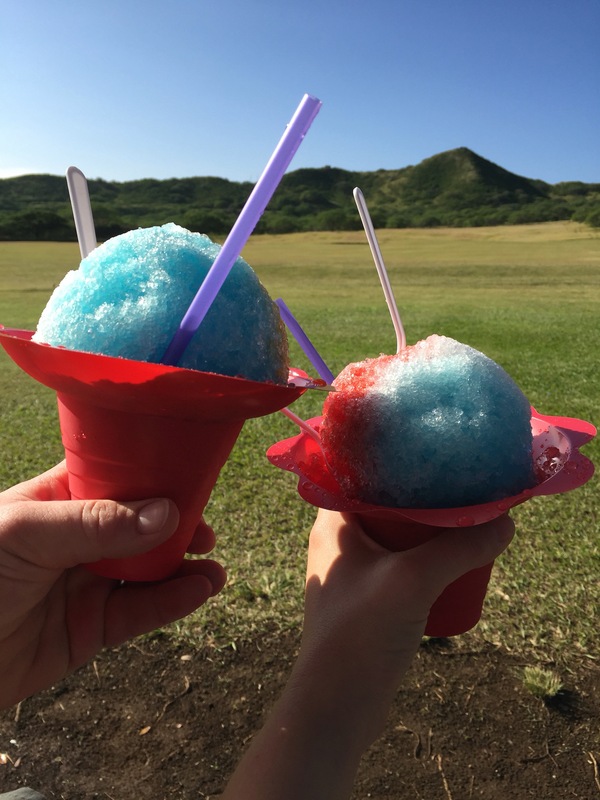 Plus you have the shaved ice waiting for you at the bottom.